Welcome to my portfolio! Click on an image to learn more about each project. 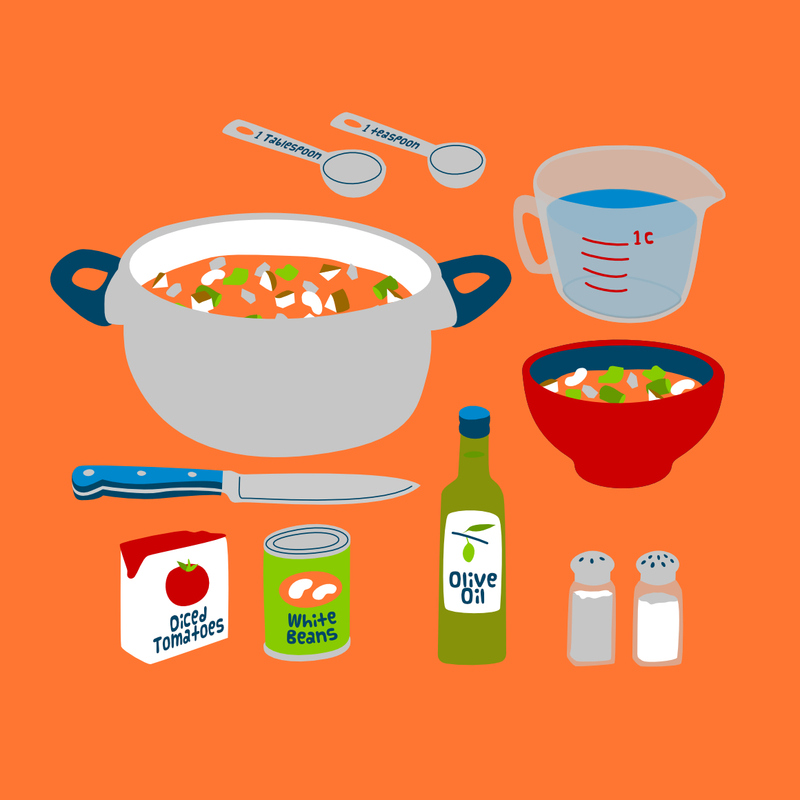 A nice bottle of olive oil, a can of white beans, a box of diced tomatoes, a glass measuring cup full of water, a utility knife, Tablespoon and teaspoon measuring spoons, salt and pepper shakers, a big pot full of simmering soup, and a red bowl of minestrone on a cheerful orange background. Sign up for my monthly newsletter. I am an illustrator and writer currently living in Chicago with my rabbit and my daughter.